The 2017 Volkswagen Alltrack is the perfect vehicle for those with a sense of adventure. With 4Motion® all-wheel drive and an available off-road monitor, the 2017 Golf Alltrack is equally at home driving you to work as it is driving your family through mountain trails. The off-road monitor is able to showcase useful information such as altitude, steering wheel angle, a compass, and much more. The monitor is completely customizable and allows you to keep a close eye on your favorite off-roading functions. Also available on the 2017 Golf Alltrack is keyless entry with push-button start. With these features, all you need to do is keep the key fob for the 2017 Golf Alltrack in your pocket or purse, grab the door handle, and your Golf Alltrack will unlock itself. 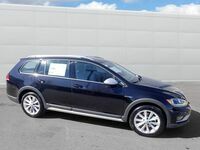 The 2017 volkswagen Golf Alltrack has a rugged exterior design that lets others know you mean business even if you’re just bringing the kids to little league practice. The 2017 Golf Alltrack has been given an increased ground clearance which allows for easier maneuvering through any terrain. Along with the increased ground clearance, the Golf Alltrack has available 18-in alloy wheels which let you ride in style no matter which mountain trails you decide to trek. On the roof of the 2017 Golf Alltrack sit silver roof rails that provide extra storage on the top of your vehicle. Also on the roof of the Golf Alltrack is an available panoramic sunroof that both tilts and slides so you can let the perfect amount of natural light into your vehicle. The inside of the 2017 Volkswagen Golf Alltrack is every bit as ready for an adventure as the exterior. The rear seat of the Golf Alltrack is able to fold down allowing you to expand your storage space whenever you need to. With stunning interior trim to go along with silver accents on the pedals and Marrakesh Brown leatherette seats, the 2017 Golf Alltrack is redefining expectations on what the inside of a vehicle should look like. Available on the 2017 Golf Alltrack is an Adaptive Cruise Control feature that allows you to set a predetermined distance for your vehicle to stay behind the vehicle in front of it. Once you select a distance, your Golf Alltrack will be able to use sensors to monitor the vehicle ahead of you, and maintain that pre-set distance even if the other vehicle speeds up or slows down. Also available on the 2017 Golf Alltrack is the Lane Departure Warning system. By using sensors its front, your Golf Alltrack will be able to identify your position on the road. 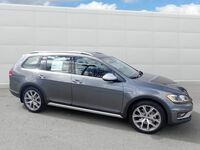 If you start to veer into a different lane without using your turn signal, the Golf Alltrack will warn you and can even help steer you back into the correct lane. This available feature is great for those long road trips when everything on the road starts to blend together. The Lane Departure Warning is a great way to help you stay safe, and in the correct position on the roads. The 2017 Golf Alltrack also has available parking features that not only help you park your vehicle, but can assist in getting out of those tight spaces. When you’ve finally found that perfect parking spot, the Parking Steering Assistant feature is able to accurately judge whether or not your vehicle will be able to fit inside of a parking space. 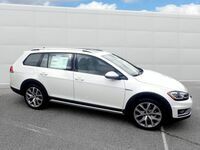 If you will fit, your Golf Alltrack will then help you parallel park. All you need to worry about is the accelerator, brake, and shifter, and your 2017 Golf Alltrack will handle the rest. Once you’re ready to leave your parking spot, the Park Distance Control feature uses sensors on the front and rear of your vehicle to inform you of how much room you have between you and the vehicles in front of and behind you. 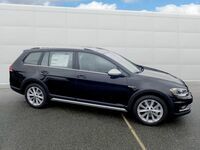 If you get too close to either of the other vehicles, your Golf Alltrack will provide you with an audible warning to let you know that you need to hit the brakes. We could go on and on about the many more incredible features that come standard and available on the 2017 Volkswagen Golf Alltrack, but we know that you’re dying to check it out for yourself. 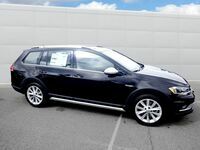 Come on down to Dirito Bros Volkswagen here in Walnut Creek to take a look at all of the features that make the 2017 Golf Alltrack one of the most exciting vehicles on the roads today. 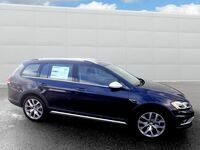 If you have any questions about the Golf Alltrack, or any of our other vehicles, feel free to contact us over the phone or in person so one of our knowledgeable and friendly team members can answer all of your questions. If you already know that you’re going to want to test drive one of our vehicles, you can now schedule a test drive right here on our website! You fill out the time and day, and we’ll have the keys ready and waiting when you get here.